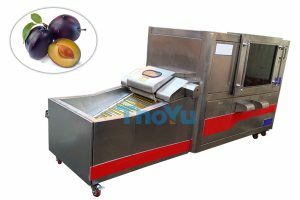 apricot pitting machine is made of stainless steel, this machine is suitable for pitt dates, bayberry, cherries, dates, prunes, olives and other fruits with advantages of nuclear enucleated efficient, health and safety, environmental protection, in line with the requirements of food processing, we generate the core machine to improvements more perfect, go nuclear and high precision, low residual nucleation rate. 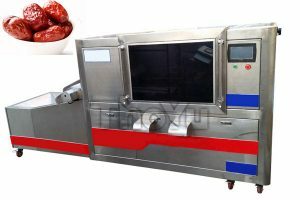 Can automatically and continuously complete the pitting process. Having reasonable structure and reliable working performance. 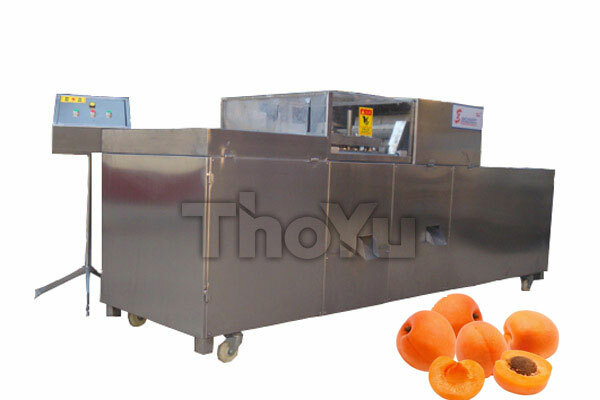 It is easy to operate and maintenance, sturdy and durable. High efficiency and low labor cost. Using theory of high speed lunging,When punching needle lunge at fruit core at a extremely high speed, the left hole is the shape of needle. The lunging speed is faster, the shape of core is more complete. Our machine needle are special treated by special process, made of high hardness material. So the skin and flesh of fruit is still complete after removing core.